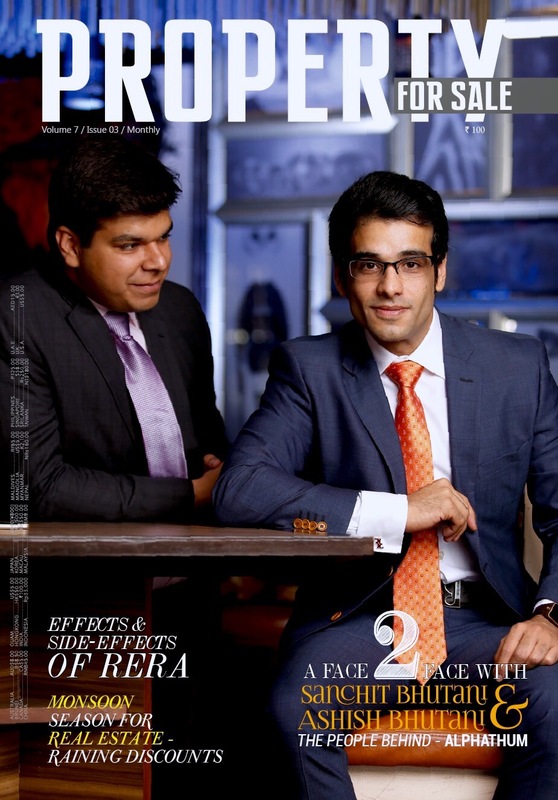 Property For Sale Magazine gets a personal Interaction with the Two Dynamic Entrepreneurs who are jointly running one of the fastest growing Real Estate Companies in North India in current times :- The Bhutani Group – Also known as the Promotors of Alphathum, a newly launched Commercial / IT Space Project on Noida Expressway which has received a phenomenal response and have turned heads of multiple industry experts who didn’t see / rather undervalued the potential of Growth & Demand for commercial projects in NCR region, specifically Noida Expressway. Residential real estate has seen the worst two years in the past 3 decades and has come down almost 40% of its market cap value. Hence free markets investments also known as second home investments have literally come to a steady halt. Real time consumers and buyers are looking at ready to move in options and with easy flowing inventory in the current market the newly launched projects are facing issue selling their inventory to new buyers / investors, therefore we see low growth in the residential sector for the next 3-4 years. Fortunately, in the case of Commercial / IT Space the scenario is quite opposite. With investments coming in from all around the world and easy FDI norms, commercial real estate is seeing one of the best booms in the past 7 years. The demand for IT space / Office & commercial space is sky rocketing. According to the JLL report for the year 2015, India saw literally 87% absorption rate for all commercial / IT Real Estate & North India was a steady 41%. Hence creating a fact that the Demand is high and Supply for good properties are extremely low. Using the current factors in their benefit, Bhutani group has recently launched one of the Biggest Commercial / IT Development project on Noida Expressway & plan to deliver one of the finest project in Delhi NCR. To know more about the same, we got in an interview with the two entrepreneurs behind the group, Aashish Bhutani & Sanchit Bhutani. Q1. Tell us a little about the History of Bhutani Group? Backed by a decade’s worth of experience and an abundance of expertise, Bhutani Group has pioneered the conceptualization and execution of upscale real estate projects in the retail, commercial and residential space. Adding to the array of services offered, it also sees the project through each stage right from site acquisition, designing and development to construction, marketing and sales. In a very short span of time the Group has left strong footprints in all spectrum of real estate development, running several projects across Delhi NCR and has done so by assuring its clients and business partners a sense of utmost quality, timely deliveries and reliability. 5) PARMESH COMPLEX I: –Karkardooma, Delhi. 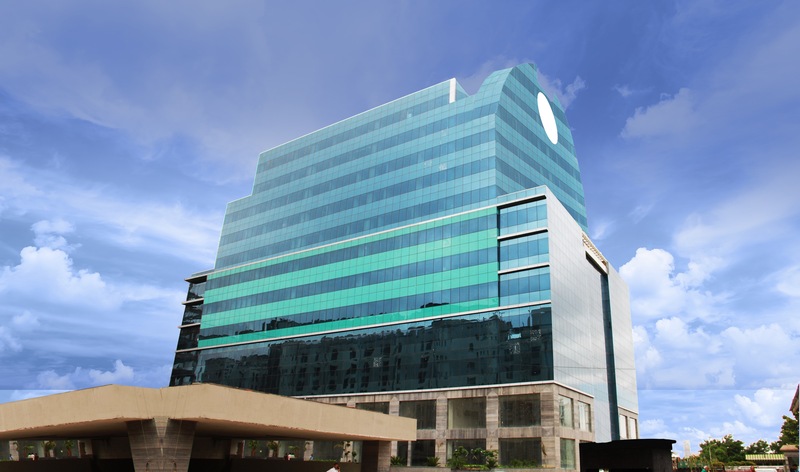 8) PARMESH BUSINESS CENTRE II: –Karkardooma, Delhi. Q2. Do you think Commercial / IT Spaces will still be in demand 3 years down the line? As they say, “best investment on Earth is Earth”. The real estate sector may be sluggish for the past few years, however, I can assure you one thing never changes: The right product at the right size and premium quality always sells. And in todays market commercial property even more so. The demand will increase multifold in the coming years; in fact supply won’t be able to keep up with demand, as we see whats happening currently in bangalore. With the GST bill getting the nod in the parliament, we will see a lot of companies coming into India, and with the prices of office spaces sky rocketing in Delhi, the entire focus will shift to Noida. Apart from these the way e commerce companies and mobile phone companies are expanding; the developers will have to propel the construction at an astounding rate to be able to accommodate them in time! Q3. Are you focusing on Investors or End Users ? Q4. Alphathum has received a Phenomenal Response, tell us a little bit about this project & Its uniqueness? Business leaders are now investing in world-class talent and the technology to empower them. We understand this need and have strived to create an environment that’s designed to stimulate collaboration, flexibility and innovative thinking. So we have taken a holistic approach. 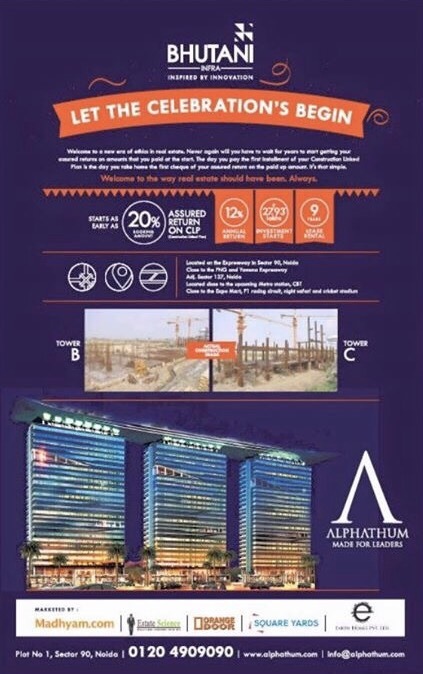 ALPHATHUM is a lifestyle oriented office complex, these three high-rise towers will be equipped with sky gardens, specially designed break out and break away areas, longest infinity pool, automated cark park system and climatically responsive architecture. There is always demand for well-managed, efficient and premium office spaces. We are located at Sector 90, Noida, which has an established and well-planned residential areas, commercial development, universities and excellent connectivity to Delhi. The only strategy we follow is maintaining a great pace of construction which has helped us receive tremendous positive response from the market. 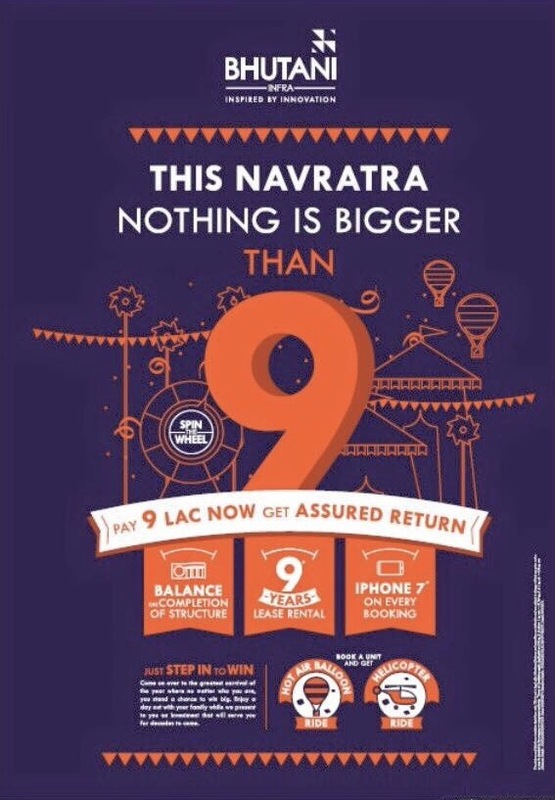 Projecting the accomplished landmark of construction has also helped us in positioning our brand recall. Two floors have already been leased out by one of the biggest establishments in our country. Q5. If we are correct, you both are brothers, we are sure many of our readers would like to know how do you both complement each other. Are you handling different scopes of works and departments? Yes and that’s why we complement each other perfectly! Mr. Ashish handles Sales, Strategy and Marketing and I do what I am good at i.e Commercial, CRM & Finance. Q6. Low Rental Values for IT Space plays a very important role for large corporates and SME’s, many major firms like Accenture, MetLife, HCL, Infosys, KPMG, TCS have already started operations on Noida Expressway and are reaping the benefits of low rental but don’t you think that the rentals values will shoot up drastically when the demands goes up and end up eating the gap between Noida & Gurgaon, hence lowering volume of business and demand? To answer your question, it will undoubtedly go up, but the difference in the infrastructure between Noida and gurgaon is substantial. Large corporates are not just moving to noida because of low rentals, but also because of the overall package Noida has to offer! All the major companies who have a good vision are shifting their base to Noida. From investment point of view, along with location, many points have to be kept in consideration such as infrastructure, connectivity, quality of living, demand & supply etc. The close proximation to South Delhi via dnd which only takes 20 minutes in traffic and central delhi which takes a maximum of 25 minutes in peak hours! is also a major factor for corporates moving out here. Corporate occupier demand for office space is expected to continue to grow in the forthcoming months. Expansion and consolidation strategies of corporate firms will continue to be in Greenfield projects and pre-committed space in under construction projects. Occupiers will evaluate their office space requirements on the basis of infrastructure development and cost effective investment-grade office space. Although its current supply of office space is less than half that of Gurgaon, a relatively strong development pipeline in Noida could propel the market size to over 60 per cent of Gurgaon in the next 3-4 years. 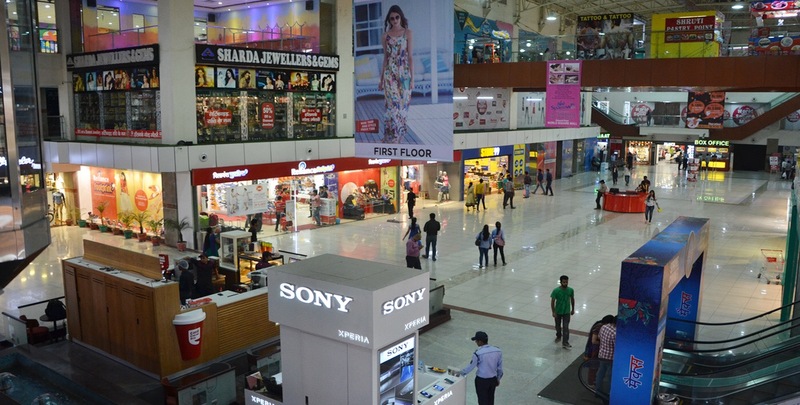 IT and ITES companies, which occupy more than three-fourths of the total office space in Noida, say factors such as lower rentals, planned infrastructure and availability of large parcels of land are driving the appeal of this suburban market. The potential to expand for them is unlimited which is also one of the key things that is driving large corporates in this market. This month, BPO player e4e established a new facility at Noida — its first centre in Northern India — with an overall capacity of 700 seats. BPO major EXL has leased an additional 80,000 sq.ft of space in an SEZ in Noida. Last quarter, European IT-enabled business service provider Steria expanded its operations by setting up a new centre at Greater Noida to offer Remote Infrastructure Management services. “We are now seeing quality supply flow into the Noida market. In certain cases, companies looking to set up campuses are also coming to Noida. The campus model does not utilise the entire FSI, and since the development tends to be more horizontally spread, the availability of cheaper land becomes critical. Demand for prime office space in the NCR continues to be focused on the peripheral micro-markets owing to the abundant availability of cost-effective space. In the short to medium term, we can expect rentals in key markets to either remain stable or accelerate slightly. Overall, the prime office market across India’s key cities witnessed a recovery in Q2 2016, with over 14 million sq ft of investment-grade office space being absorbed within the first half of the year. Q7. Is Bhutani Group planning any new Projects currently? No, as we firmly believe in focussing on one project at a time and then move on to next after that. That’s our philosophy!